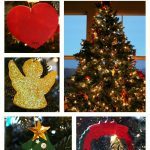 Some of my husband’s and my favorite Christmas gifts over the years were the Christmas ornaments our now-adult kids made for us. As a grandparent, I’ve had fun passing on the tradition. 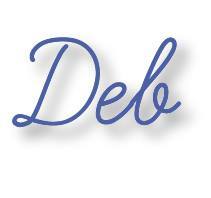 Today, I want to share in one place some of the Christmas ornament and card projects we’ve done. 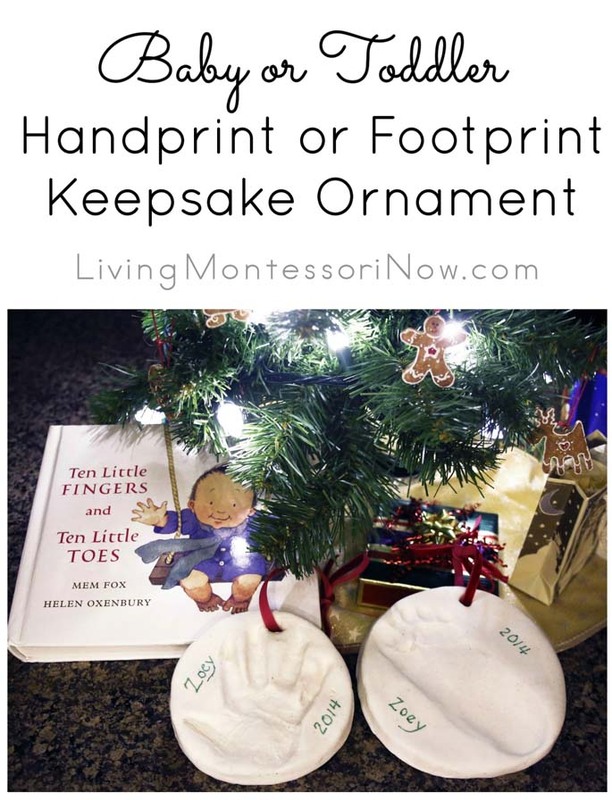 A baby or toddler handprint or footprint ornament is a truly lovely keepsake ornament. 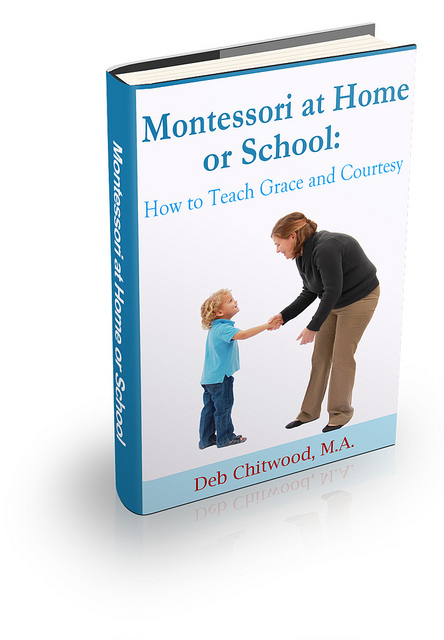 I tend to think all parents should have at least one for each child. 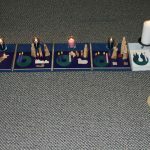 While it naturally takes a lot of adult help, you can read a Montessori-friendly book like Ten Little Fingers and Ten Little Toes to add meaning to the experience. 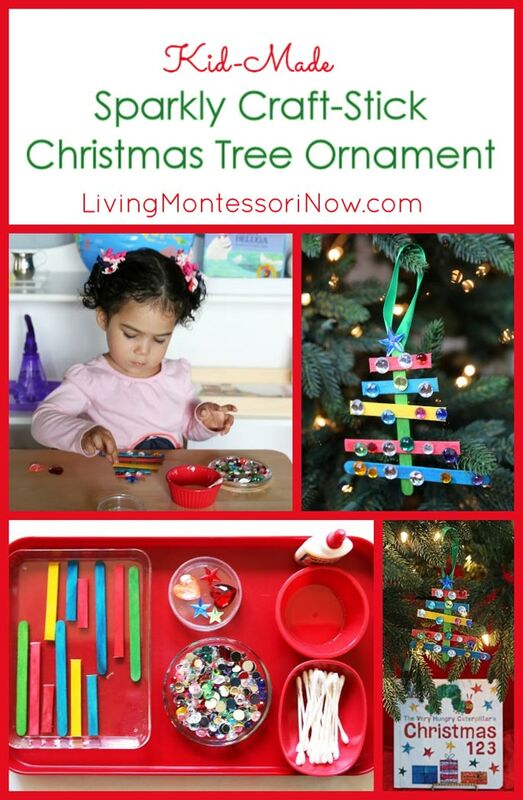 When my granddaughter, Zoey, was 2 years old, she made a sparkly craft-stick Christmas tree ornament. 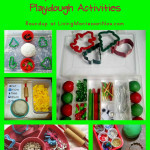 I included a Montessori-inspired tray and a length activity to add to the craft. 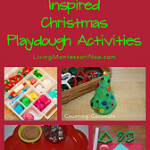 I really love this as an educational activity, craft, and gift! As a 3 year old, Zoey made a cinnamon stick Christmas tree ornament. 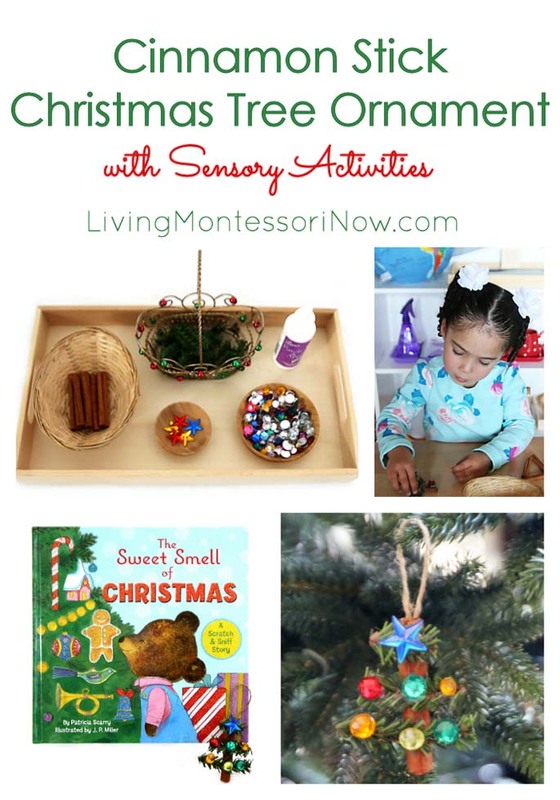 This has such fun sensory activities included, and I totally love how it looks on a Christmas tree! 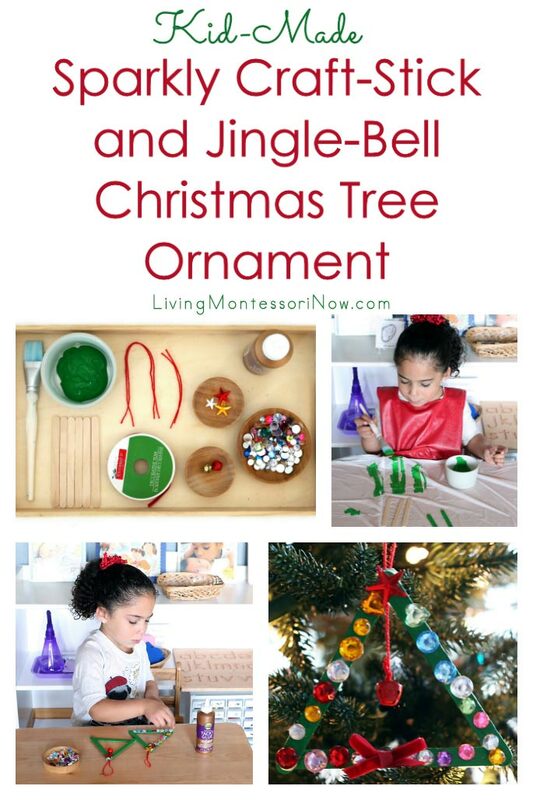 Update: At age 4, Zoey made a sparkly craft-stick and jingle-bell Christmas tree ornament. This ornament can easily be adapted for toddlers on up. 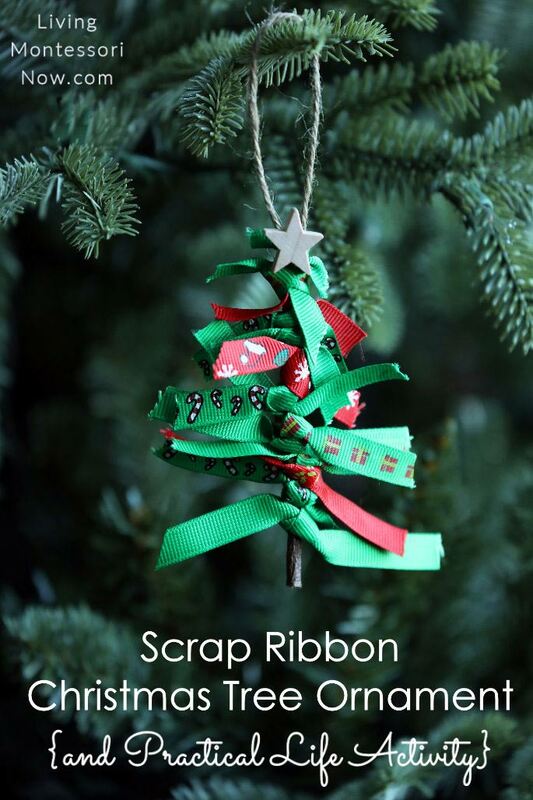 Update: At age 5, Zoey made a scrap ribbon Christmas tree ornament, which included a practical life activity of lots of knot tying! 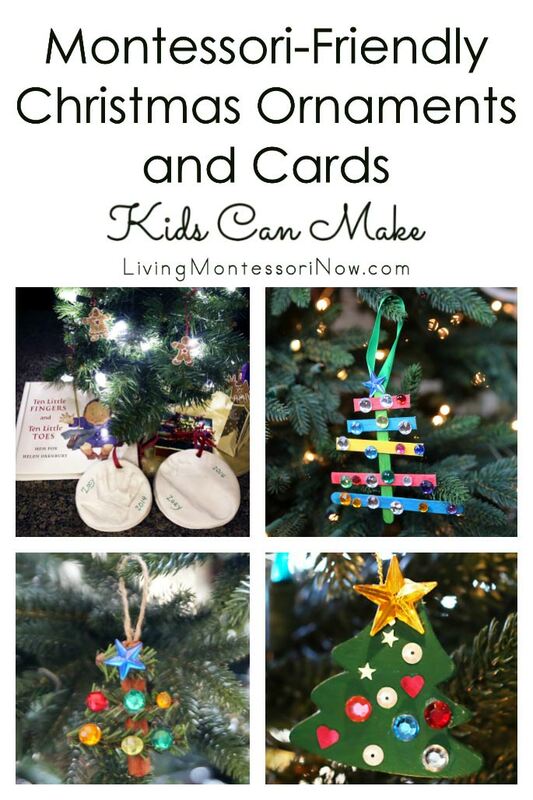 Painted wooden ornaments were popular projects with my kids as they were growing up. I have every ornament they made (from toddlers on up). 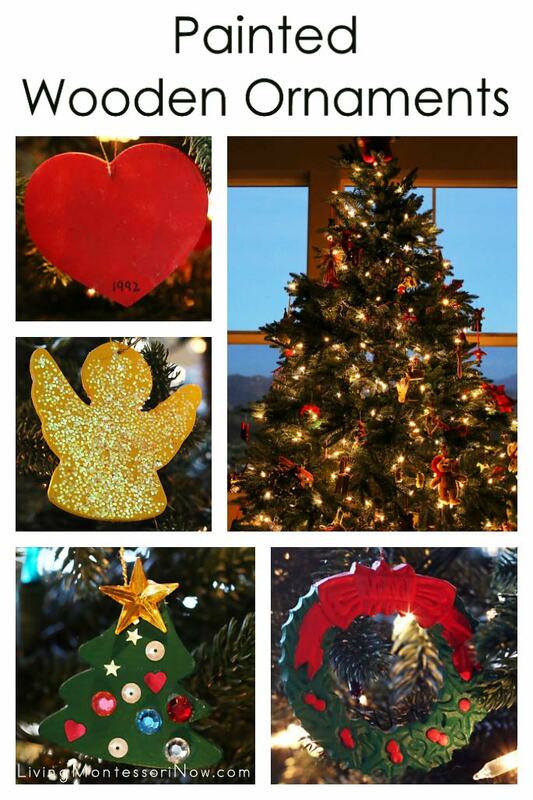 They’re added to our tree every year! 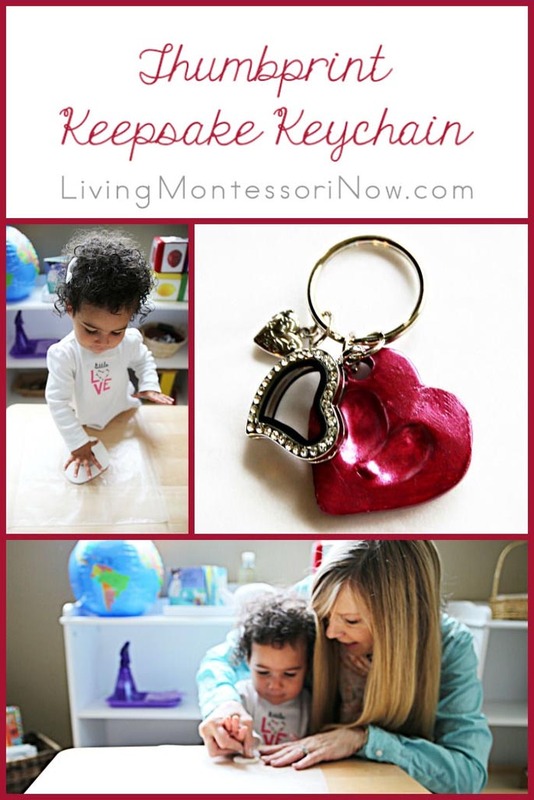 The thumprint keepsake keychain I helped Zoey make as a Mother’s Day gift at age 1½ could be made into a Christmas ornament instead of a keychain. 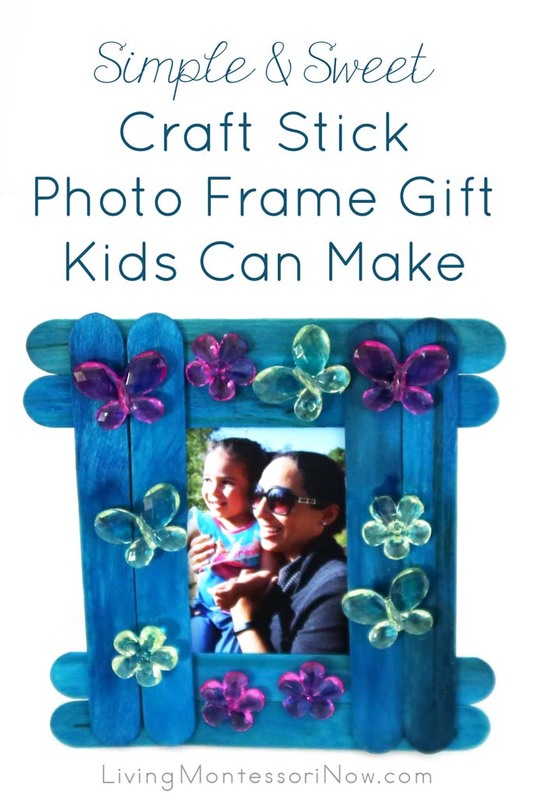 A craft stick photo frame gift like Zoey made for Mother’s Day at age 2½ could easily be made into a Christmas ornament by using Christmas-themed gems and adding a string for hanging. 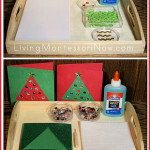 I love to have Montessori-inspired trays available with Christmas card-making materials. 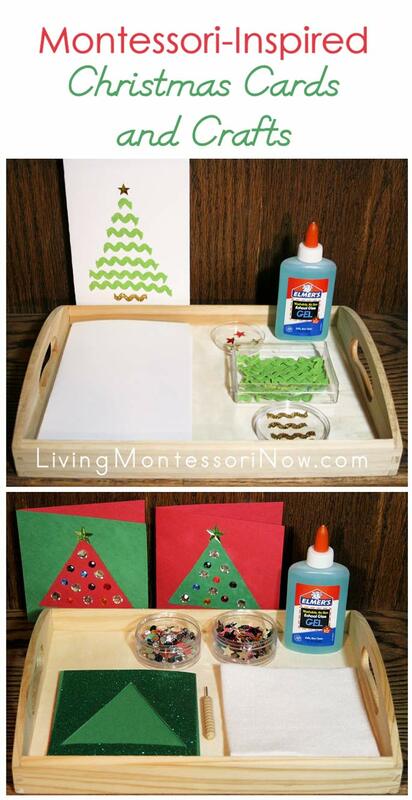 Metal insets can be especially fun if you want to make triangles for Christmas trees or circles for ornaments. 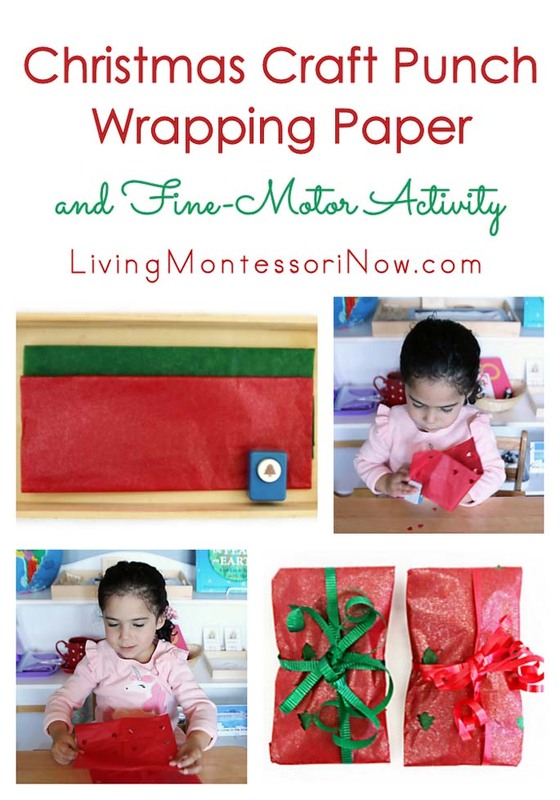 In case you want some wrapping paper, making it is another fun project for kids! 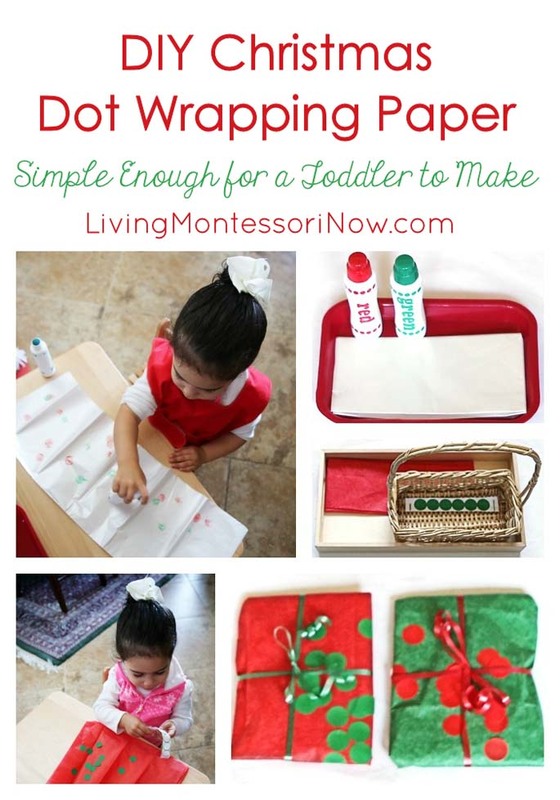 Zoey had lots of fun making Christmas dot wrapping paper at age 2. 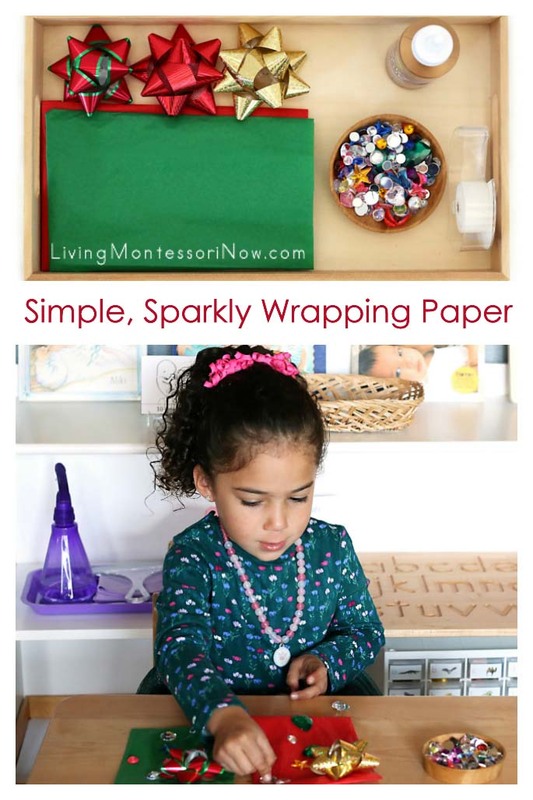 Update: Here’s our latest wrapping project, a simple, sparkly wrapping paper that’s adaptable for a variety of ages from toddlers on up. 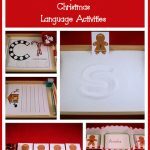 I’d love to hear what your child or students are making for Christmas cards and/or gifts this year!